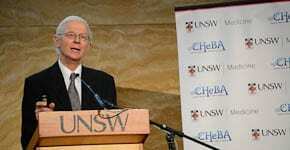 Sydney aged care facility the Sir Moses Montefiore Home has joined the University of New South Wales in launching The Montefiore Chair of Healthy Brain Aging. 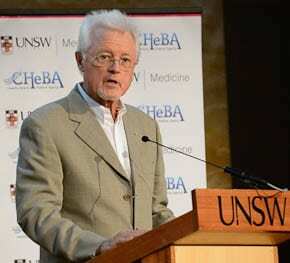 The inaugural chair has been taken up by clinician and researcher Professor Henry Brodaty. Initiated by philanthropist David Thomas, the Chair faced the daunting task of matching the one million dollars pledged by the businessman whose wife is a long time sufferer from the aging disease…although Professor Brodaty said that he had experienced cases “in their 30s”. 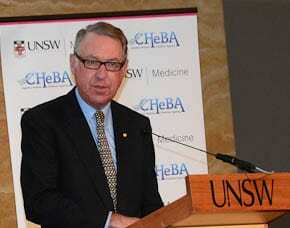 The president of the Montefiore, David Freeman, announced that the home had matched the million dollars pledged by David Thomas and this week the Chair, to be known as CHeBA was officially launched at the university by Australia’s first Aged Discrimination Commissioner, Susan Ryan at a function hosted by the University’s vice-chancellor David Gonski. David Thomas spoke personally of living with a loved one suffering from dementia and PJ Lane, the son of the late TV personality Don Lane who passed away as a result of the disease, brought a smile to a roomful of emotionally affected supporters of both institutions when he told the story of how he had played for his father tapes of his old shows only to be told “this guy has stolen my material’. Don Lane was a resident in the Montefiore Randwick campus. But divulging details of how Alzheimers is impacting on our community fell to the new Chair, Professor Brodaty, But he did explain that dementia is a syndrome and that Alzheimer’s accounts for about 50% of those suffering from dementia. He outlined the vital statistics of the brain explaining that it contains 78% water and 100 billion neurons and that its power peaked around in the early twenties. He said that 70=yr-olds had generally lost 10% of their brain power. Professor Brodaty showed real concern regarding the availability of facilities in the future. 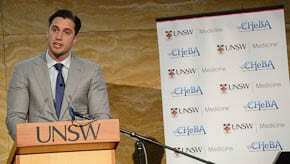 He said that by 2025 in Austraia there would be more people over the age of 65 than children between 0 and 14. As the century hits its midway point, Professor Brodaty said that the number of Australians over 65 will have doubled to 7.5 million and those over 85 will have quadrupled to 1.6 million. In today’s Australia, 173 new dementia patients are diagnosed each day equating to one every eighteen minutes. In 2011, 298,000 patients were registered as dementia patients with 23,900 under the age of 65. It is the country’s 3rd leading cause of death. The research to be carried out by the new initiative will help develop preventative strategies and new treatments…and will take into consideration the circumstances of those who act as carers for dementia patients.